Senate Panel Approves Gina Haspel As CIA Chief; Confirmation Appears Likely : Parallels The intelligence committee approved her 10-5. With several Democrats backing Haspel, she looks headed for confirmation in the full Senate despite her role in the CIA's waterboarding program. Gina Haspel (in white), the nominee to lead the CIA, is welcomed at her confirmation hearing before the Senate intelligence committee by Sen. Dianne Feinstein, D-Calif. (seated), and Vice Chairman Mark Warner, D-Va., in Washington on May 9. The committee voted 10-5 on Wednesday to recommend Haspel's confirmation by the full Senate. In recent weeks, John Bolton has become the national security adviser, Mike Pompeo has become secretary of state, and Haspel looks set to replace Pompeo as CIA director. Democratic senators on the intelligence committee grilled Haspel last week on two specific episodes in her 33-year CIA career. One was in 2002, when she ran a black site prison in Thailand where officers carried out waterboarding and other harsh tactics to extract information out of suspected al-Qaida militants. The other was in 2005, when she was based at CIA headquarters outside Washington and wrote a cable calling for videotapes of the waterboarding to be destroyed. In several sharp exchanges with the senators, Haspel said she would not initiate any new detention and interrogation programs as CIA director. But she did not disavow the previous program, from 2002 to 2008. After that hearing on May 9, several senators said they needed additional information from Haspel. And in a letter dated Monday, she went beyond what she said in her public testimony. "With the benefit of hindsight and my experience as a senior agency leader, the enhanced interrogation program is not one the CIA should have undertaken," she wrote in a letter to Sen. Mark Warner, a Virginia Democrat on the intelligence committee. 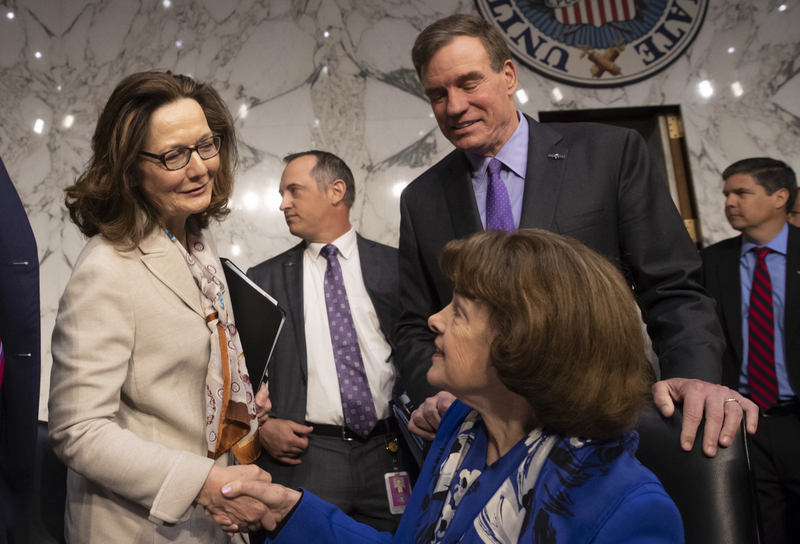 Shortly after her letter became public Tuesday, three Democratic senators, including Warner, announced their support for Haspel. "I believe she is someone who can and will stand up to the president if ordered to do something illegal or immoral — like a return to torture," Warner said in a statement. Five Democrats have now publicly declared their support, and almost all Republican senators are expected to vote for Haspel.